Gaskets are grouped based on several different factors ranging from material and purpose to application. Gaskets are cut from material such as rubber, metal, or cork. Gaskets can be used for sealing, to cut down on vibrations, and much more. Pioneer Rubber can help with your gasket needs no matter your industry- from food processing and sterile environments to petrochemical and other volatile, high pressure applications. Pioneer Rubber & Gasket has a wide variety of gasket and material choices from all of the major brands and manufacturers. 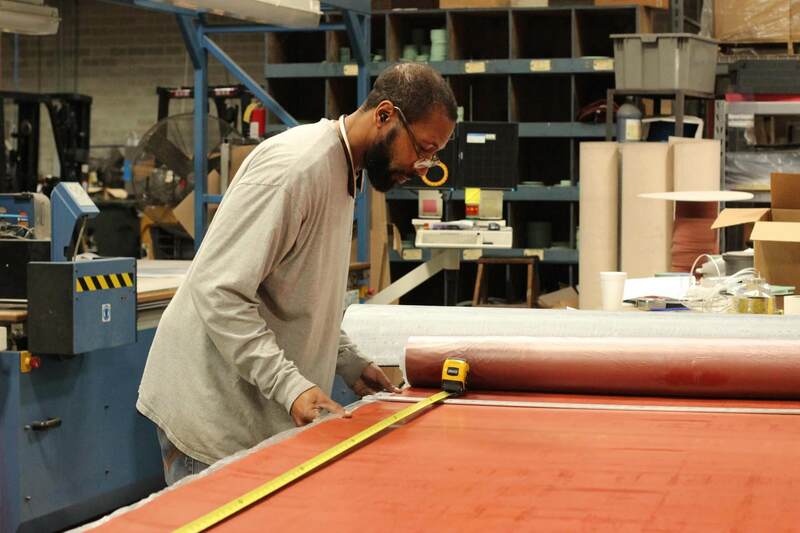 Our gasket department supplies gasket material and rubber sheets, in bulk or custom cut to our customer’s specifications. We have the ability to cut custom gaskets as well as offer standard pipe flange gaskets. Pioneer Rubber & Gasket also carries many elastomers in commercial and Mil Spec grades as well as Neoprene, Nitrile [Buna-N], EPDM, Silicone, and EMI/RFI. We can also provide braided valve stem packing and spiral wound boiler gaskets. Pioneer Rubber can help with your gasketing needs – any thickness, any shape, any quantity and fast delivery. Contact our experts for pricing information or questions about your next project.